One of the great misjudgements in art is the idea that “the camera never lies”: it does, a lot and frequently. Even before Adobe’s Photoshop was released - the ultimate image manipulator - back in 1990, there was no shortage of doctored images being produced, whether they were surreal, profound, or beautiful. Ernest Eugene Appert faked photographs of the 1871 Paris Commune massacres, whilst photographs published in Stalin-era Soviet Russia had purged Party officials erased from them. Others were more playful. Photographs were manipulated using a variety of techniques: multiple exposure (taking two or more pictures on a single negative), combination printing (producing a single print from two or more negatives), photomontage, and retouching directly onto the negative or print. The ease of editing these days means that “photoshopped” has become a byword for something faked, where the authenticity of images from global news events is always questioned. All it takes is the click of an Instagram filter, unlike the painstaking thought that went into Yves Klein’s groundbreaking “Leap Into The Void”. So, with an exhibition currently on at London’s Carroll/Fletcher gallery, which is displaying the first ever photoshopped image, we take a look at the best image manipulation before Photoshop even existed. This image, made by an unidentified American artist, vaguely recalls the iconic photograph “Lunch atop a Skyscraper” (1932), which depicts builders sitting on a beam with a dizzying New York backdrop. 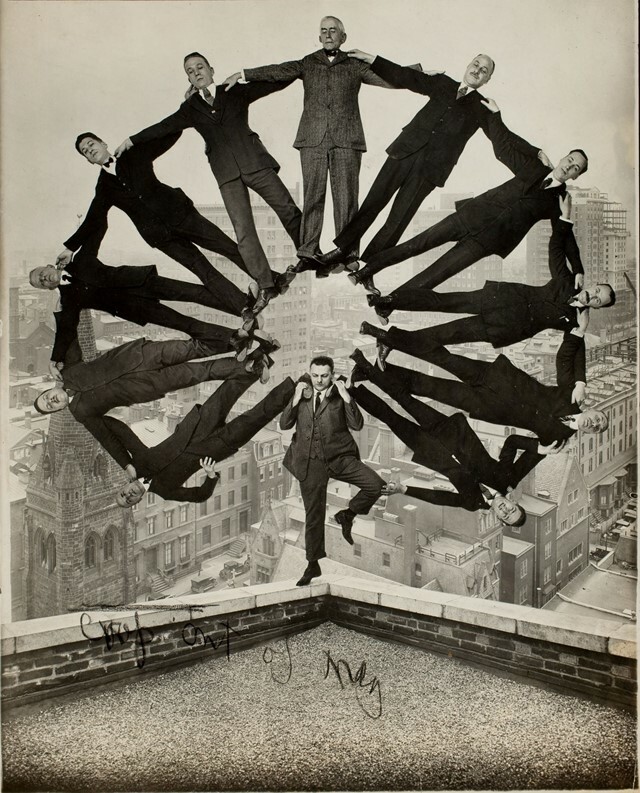 But here, the gravity defying feat takes a more surreal edge, with various intertwining arms and legs made to resemble some sort of human clock, through the use of combination printing. It stunned viewers back in the 1930s. F. Holland Day was one of the most significant photographers in helping the medium to be considered as fine art. “The Vision” was made in devotion to Orpheus, the musician and poet from Greek legend. In an attempt to transcend circumstances of time and place, Day applied subtle colour tones directly to the prints, and exposed the film twice, to create ethereal, otherworldly sight. Hearst Over The People is political art, Dr Strangelove style. 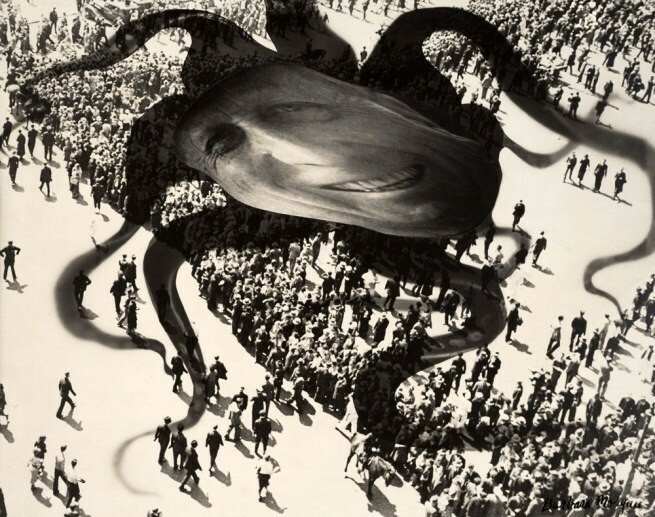 By using photomontage, Barbara Morgan conjured the grinning face of powerful press magnate William Randolph Hearst into a ghoulish, octopus figure; his tentacles wrapped around the tiny citizens below. Morgan’s message was clear: people should be wary of Hearst’s considerable influence. Taken 21 years before Photoshop was released, this photograph - like much of Uelsmann’s work – is mind-bending and psychedelic. He revived the combination printing technique that was pioneered by Victorian art photographers, but took it to a new level using a darkroom equipped with seven enlargers. 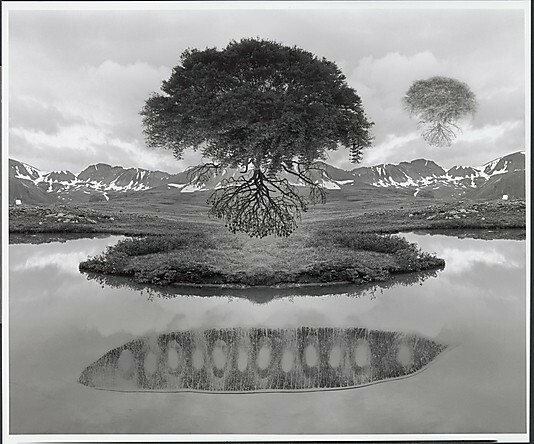 These floating trees are truly a product of the sixties, but Uelsmann managed to create them without the help of hallucinogenic drugs. The possibility of the paranormal has always lingered in the human mind. 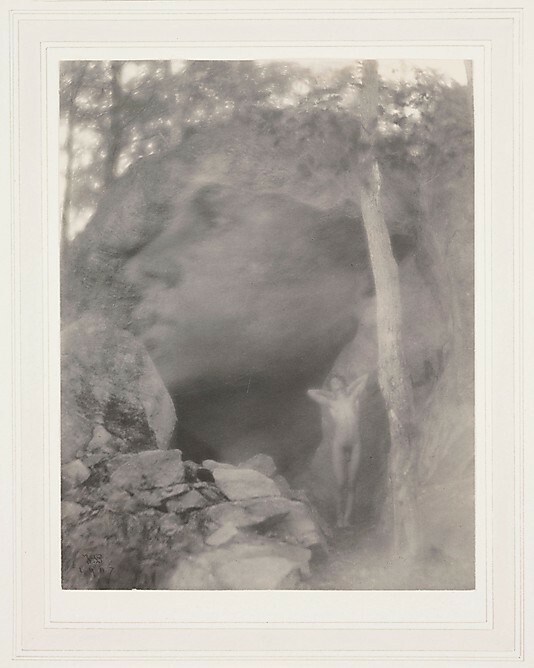 William H. Mumler was a 19th century photographer that latched onto this phenomena, and with the use of double exposures, he began to make what became known as spirit photos. 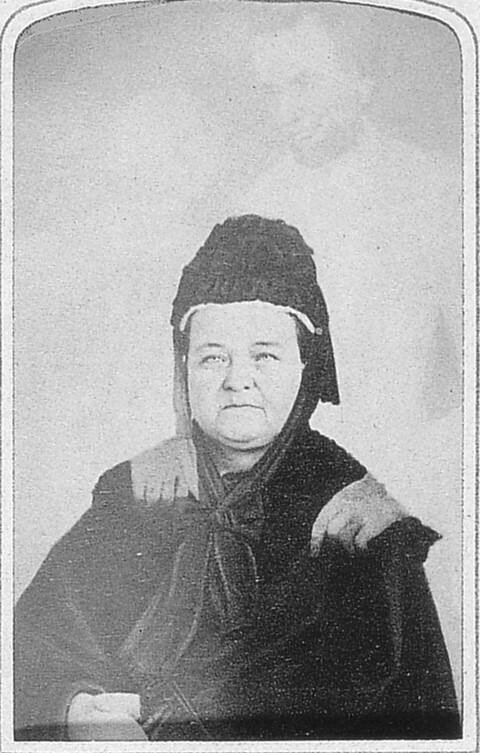 Perhaps the most famous was Mary Todd Lincoln's portrait with the ghost of her husband, Abraham Lincoln, stood eerily behind. Whether people genuinely believed these images, or simply thought of them as comforting reminders of the deceased, they retain a strange aura even now. 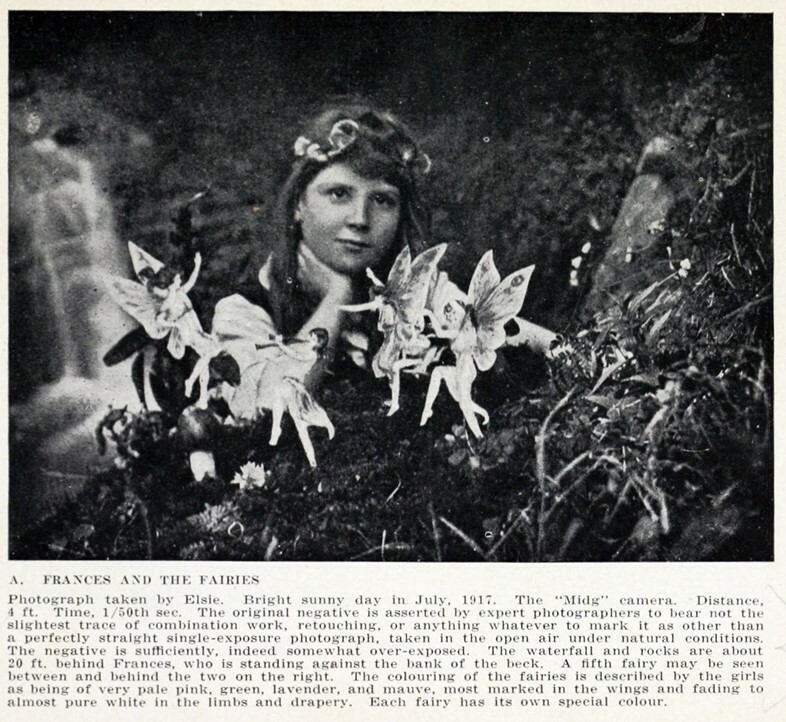 The Cottingley Fairies are a series of five photographs taken by Elsie Wright and Frances Griffiths, two young cousins who lived near Bradford in England. These photos swayed thousands over the course of the century, with photographic experts who examined the pictures and declaring them genuine at the time. Unfortunately, it eventually emerged that the prints had visible discrepancies in exposure times pointing to deliberate manipulation, and the likelihood again that fairies do not exist. Two years after James M. Cain’s Great Depression novel The Moth was published, and quite literally riding on the wave of insect power, Woman Riding Moth was made. 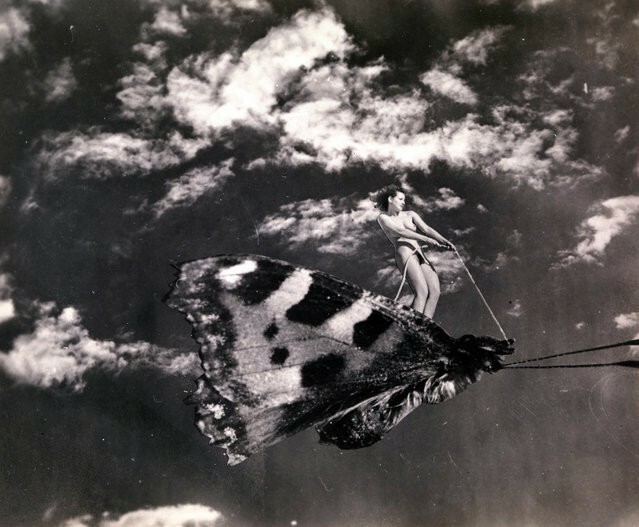 It was riding on the second wave of feminism too, with a naked – and evidently powerful – woman shown to glide across the skies on the back of a moth. The photo montage technique was at its brilliant best. “I would photograph an idea rather than an object, and a dream rather than an idea” said Man Ray. 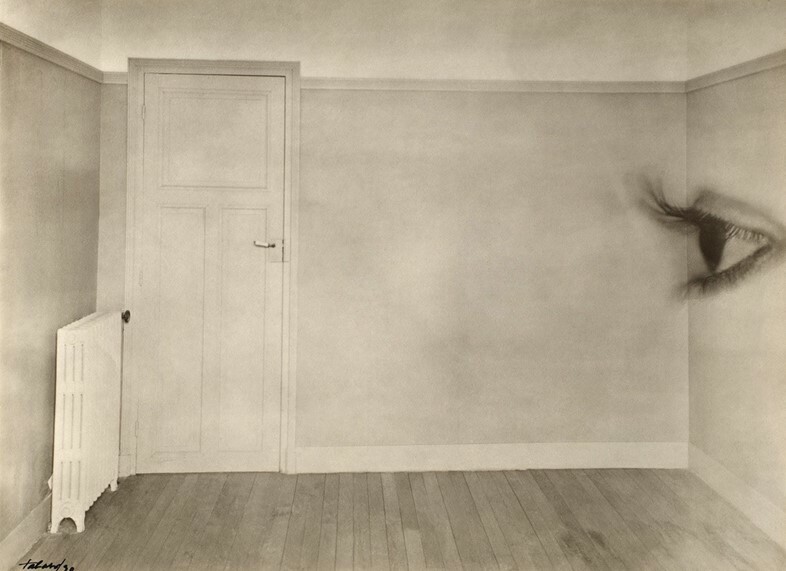 Playing on the idea that the camera captures not truth, but a subjective viewpoint, French photographer Maurice Tabard overlayed the image of an eye onto the wall of a room. Surreal in its approach, Tabard’s made this point bluntly but beautifully. According to Mia Fineman, an assistant curator of photography at New York’s Metropolitan Museum of Art, fake decapitation was the LOLcats of the 19th century. Figures depicted would variously sit down to feast on their own heads, carry their severed heads about, or even grow an extra one. 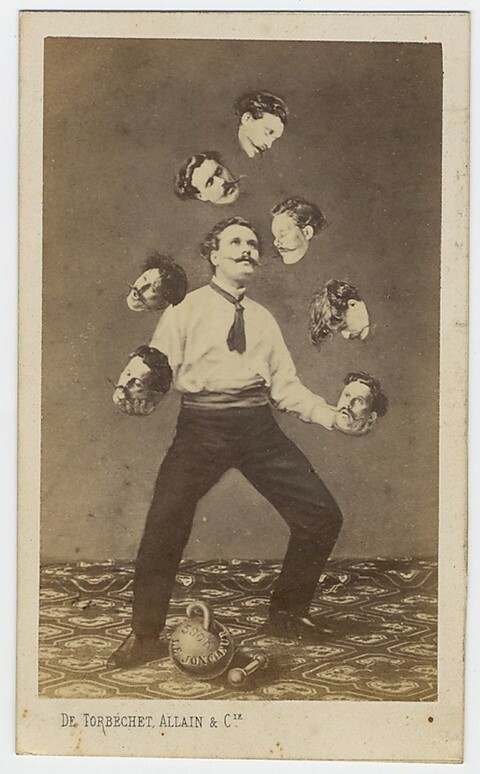 Saint Thomas D’Aquin’s party trick, however, was head juggling, as the image above shows. 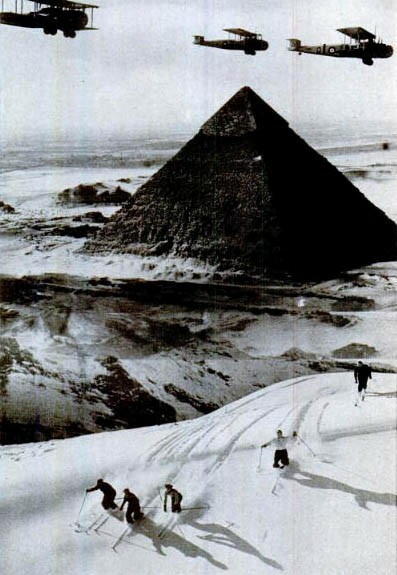 Global warming is a problem that has gripped the world over the past few decades, and if “Skiing in Egypt” is anything to believe, then there even used to be snowy tundra around the pyramids of Giza. Back then, on the verge of World War II, it was probably easy to convince a shaken world that anything could happen. The truth is, the photograph just needed combination printing, and a little retouching.